"Old age and treachery will always win over youth and exuberance." But is that true? Team Exuberance is out to prove that statement wrong. 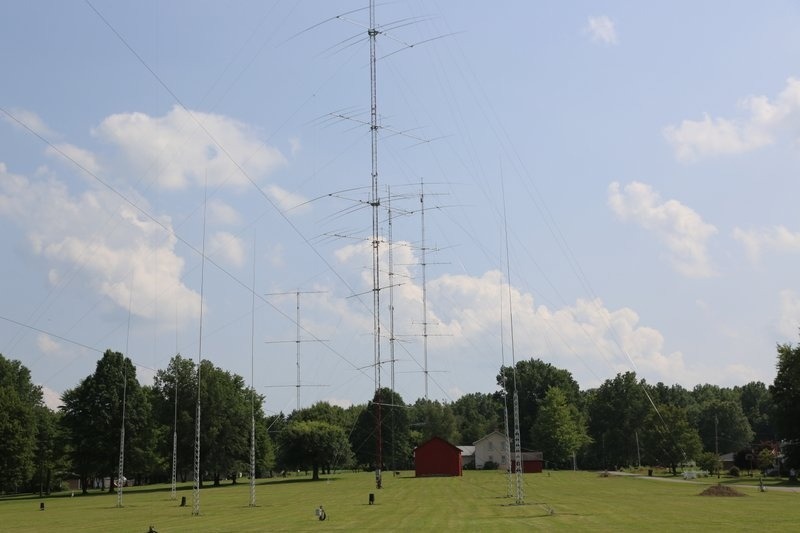 They are a team of 6 kids, Violetta (KM4ATT), Bryant (KG5HVO), David (VE7DZO), Tomi (HA8RT), Levi (K6JO), and Marty (NN1C) will be traveling to operate from the K3LR superstation for the CQ WW WPX SSB contest (March 30-31, 2019) in the multi-2 category. Each team member is planning to travel from their home QTH and will meet at the K3LR superstation for a weekend of competitive contesting. The team is working to raise $ 5,000 to make this operation happen. These funds will be used for transportation, hotels, meals, and other needs. Any and all donations are appreciated. 1) We first have to arrange for the flights for several of our team members. NN1C, K6JO, KG5HVO, VE7DZO, and HA8RT will all fly into K3LR to operate. We hope to help cover the costs of these flights. 2) We need several hotel rooms to house the team members and those who accompany them. When not operating, operators will have a place to recharge and rest up. 3) Incidental costs: transportation, food, station expenses, team member resources. All of these costs add up quite quickly. International airfare, several hotel rooms, ground transportation, food, and other one time expenses can become quite costly. All excess funds raised will be used for future youth in contesting related projects. We did it! Team Exuberance @ K3LR CQ WPX SSB 2019 M/2 is a smashing success! All of the operators have now arrived back home after an amazing weekend of high-frequency radiosport contesting. The K3LR team is proud to announce that our claim score is greater than 23.75 million points, and made over 6,000 contacts. The contest certainly exceeded all team member expectations. Our raw claimed score is a new W3 record. We are extremely grateful to all of the donors that allowed this to happen. Without your support, this operation simply would not have been possible. Please stay tuned for more information about what's next for Team Exuberance, as well as the funds raised from this fundraiser. We cannot wait to share what is next. As we said at the beginning of this project, we hope that this is just the start of something much bigger. We know there is much to come for Team Exuberance. There is a longer writeup to come! Stay tuned. Thank you for your outpouring of support in making this event happen. We are now fewer than six weeks away from CQ WPX SSB. All of our team logistics have been booked. All operator travel plans have been solidified, and we are preparing for what we hope will be an excellent event. We have a few more expenses to cover, and hope to close the funding gap! The team met for the first of two planning conference calls. Our operating preparations are also progressing well. We are finalizing an operator schedule, and each operator coming to the station is familiarising themselves with Wintest logging software. Band by band expectations have been set, and an operating manual has been circulated to the team. Thanks to all have contributed thus far. With 20 days to go until the end of the year, we have 1,650 dollars more to reach our goal. The team has started compiling a team handbook, operator schedules, and organizing team plans. Some of the comments asked about the use of funds, so we thought we'd offer some more detail into our use of the funds. For starters, we first have to arrange for the flights for several of our team members. KC1CWF, W6BQ, DK4EE, KG5HVO, HA8RT all will fly into K3LR to operate. We hope to help cover the costs of these flights. We need several hotel rooms to house the team members and those who accompany them. When not operating, operators will have a place to recharge and rest up.